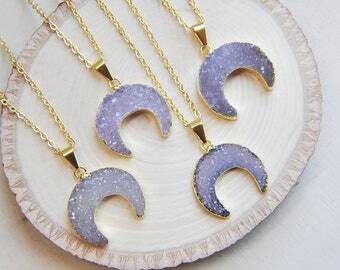 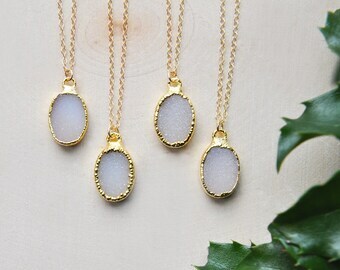 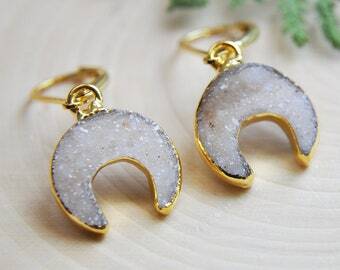 Add a touch of nature inspired beauty with these small natural druzy stones carved into crescent moons. The druzy moons are electroplated along the outer edge, the backs are sanded and smooth to the touch. 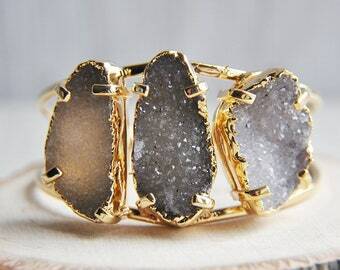 The surface of the druzy moons have small raw crystals. 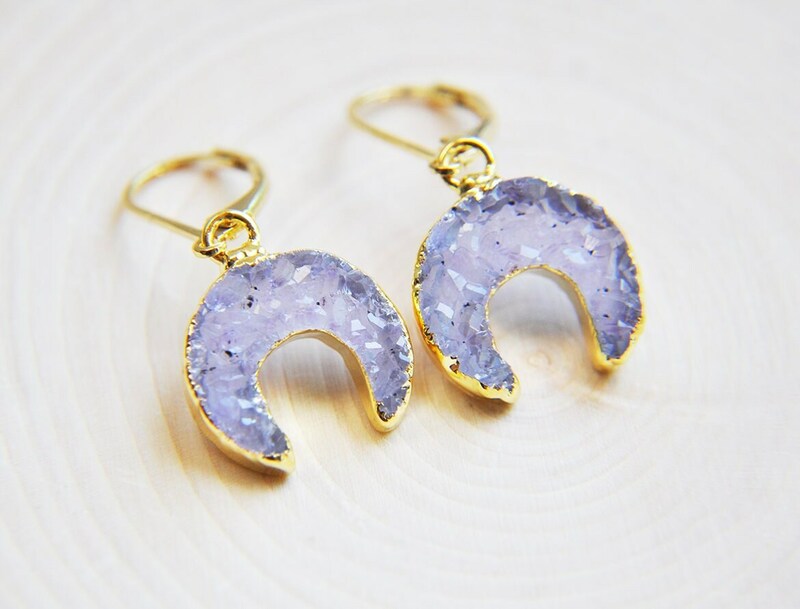 Your druzy moon earrings will arrive suitably gift wrapped ready for giving.